Kiaa is a Fort Lauderdale based professional makeup artist and photographer. She began photography in New York City where she worked with off Broadway directors, singers, and actors/actresses. She began makeup artistry in Fort Lauderdale shortly after where she began practicing on all skin types and tones. After discovering new different techniques of makeup artistry, she decided to take the next step. 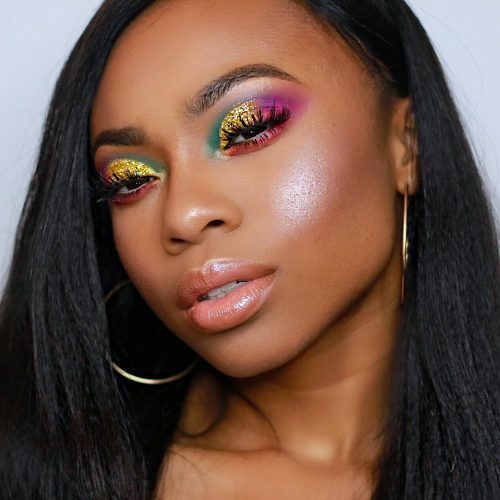 Becoming a beauty influencer has taken Kiaa’s skills to another level she never thought she’d reach! With gaining skills in special FX, bridal, and avant-garde looks, she will amaze you! Helping people feel beautiful her passion! To see her client’s glowing faces of excitement makes her heart jump with joy! She loves when my clients trust her because it shows that they are comfortable and confident in her ability to create their desired look. Connecting with clients are one of the most important aspects of her business. Once Kiaa sees the outfit of the day/evening, She is able to create a look to compliment it. As a makeup artist, Kiaa’s job is to help you relax and enjoy getting dolled up. Education/Resumé: Kiaa is a Florida Licensed Esthetician and is currently attending cosmetology school at Sheridan Techincal College. She has worked for private events, TV productions, fashion shows, and more! She has also been hired for events such as weddings (bridal parties big and small), proms, sweet 16’s, homecoming, anniversaries, and more.